We built this site for a supermarket chain working in conjunction with the designer for Town & Country. This site replaces their old and out-of-date site, giving each store the online advertising leverage needed. 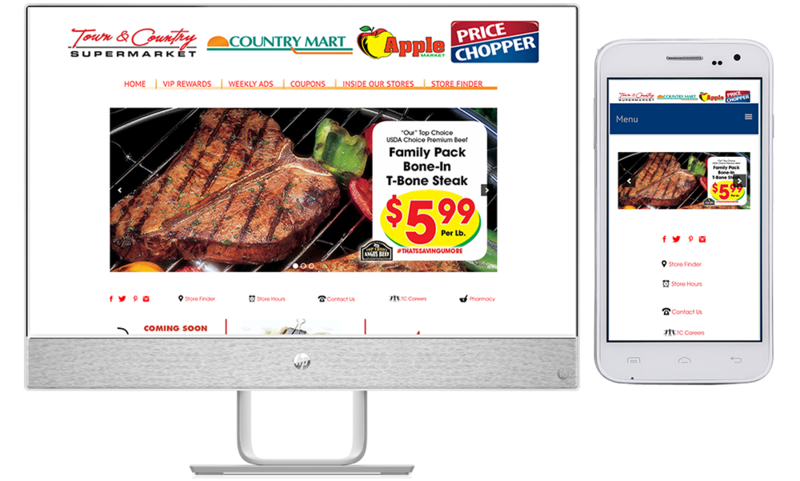 The site carries weekly ads, digital coupons, recipes and an information page for each of the many locations. We built the framework for the site and implemented all the basic design and creation work. We still manage the SEO and many of the page edits. Their designer builds and uploads the weekly ads and uploads recipes to the data base.